A series of small vases, spoon rests, bowls and cups. 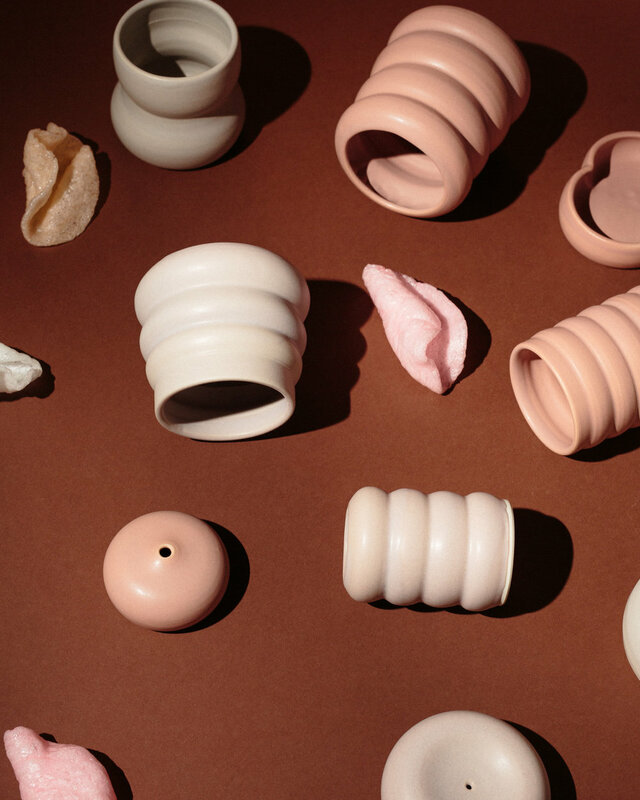 The forms were designed with soft curves and seductive muted glazes. Photography and styling by Walter Manning.